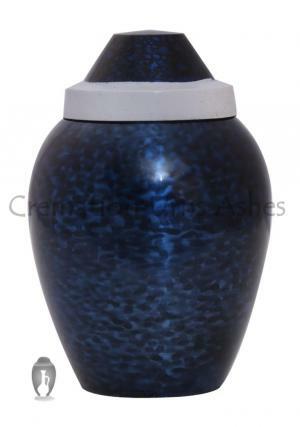 Small cobalt blue funeral urn for ashes is one of our best figured keepsake mini urns featured in blue. 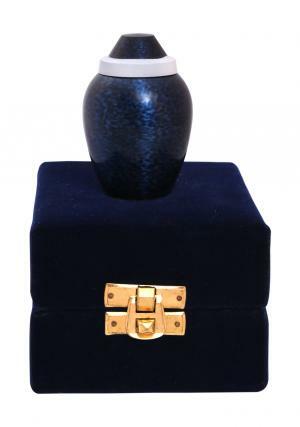 The blue mini keepsake urn is a quality urn made of solid brass and hand finished well in perfection. 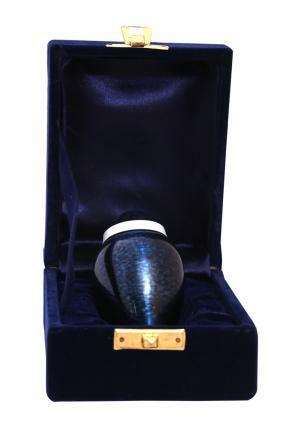 The small keepsake urn is covered in semi conical lid decorated with threaded label to secure the top opening of the mini funeral urn. 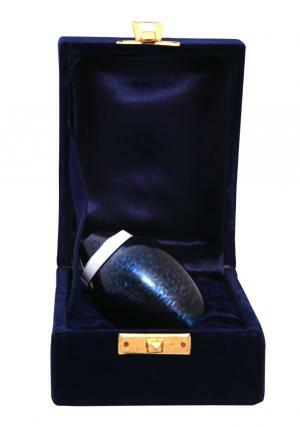 The Cobalt blue memorial keepsake human ashes mini urn is 3 inch tall and weighs 0.13 Kg. 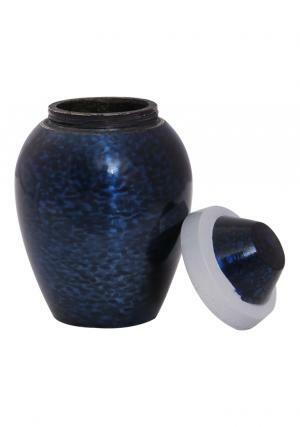 The mini keepsake ashes urn measures to carry token amount of 3 cubic inch ashes. The one who is looking after preserving small quantity of ashes a 3 inch urn would be the perfect place for loved ones ashes and secure personally.